1. What is my budget? Professional design can greatly enhance your company’s visual brand but you need to decide how much you’re willing to invest in it. Thoughtful and effective graphic design involves research, experimentation, and experience. You’ll find designers at all cost levels and you’ll need to evaluate where you are in your business and what you’re willing to spend your budget on. Remember, the “you get what you pay for” adage is quite true in graphic design. 2. What is my timeframe for this project? Are you in a rush to get started? Or can you afford to wait for availability with a designer you really want to work with? How quickly you want the job done may influence which designer is available to hire. 3. What information can I collect about my company? Do you have a legal name? Are your services/products defined? Who is your target audience? What are your company’s goals? A designer will probably ask you these things at your consultation meeting. You should be prepared with the answers. This information will help the designer create a more effective final product and will mean fewer revisions for you and a greater return on your investment. 4. What ideas do I have and what are my preferences? A designer will more accurately match your vision if you can provide them with examples of things that appeal to you. Clip out logos, text, colors, and images that speak to your vision for your company. Or create a Pinterest board to share, if you’d rather do it digitally. But keep in mind that you are not necessarily your target market. So the designer will use these examples along with your company information to create a unique design that will speak to your audience. 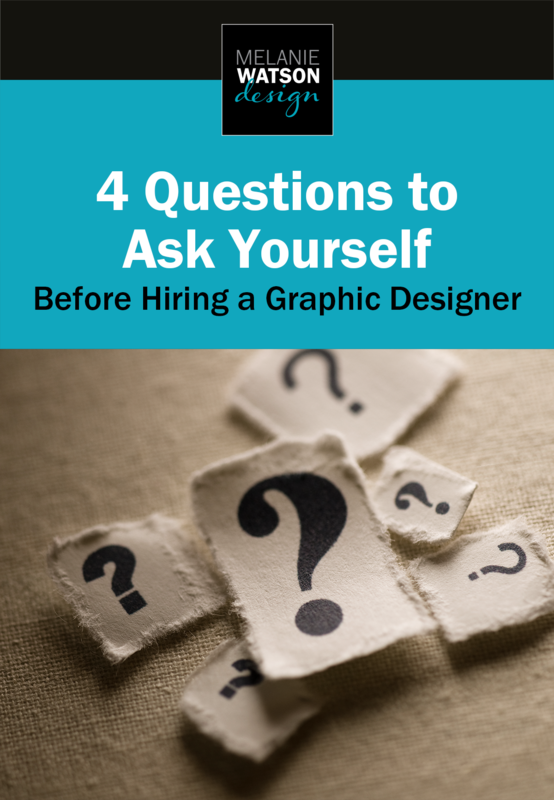 Answering these question will ultimately make it easier to find the right designer for your project. When you begin your search, here’s a few things to keep in mind. Keep an open mind. If you know exactly what you want and require no creative input at all, it would probably be best for you to find a college student who can build whatever it is you want. But if you want to collaborate with a creative professional, you’ll need to keep an open mind. They are the expert in this arena and you should let them show you what they can do. Now you can start the search for the perfect designer for your project. Armed with the knowledge above, you’ll find the experience much more satisfying. If you think I might be the right designer for your project, please contact me. I’d love to discuss your needs and how I can help you.